Save $10.00 on purchases of $100 or more. Use Coupon Code APR19 Offer expires April 31. Contact Us for your free samples now! Check out some of our best seller & most popular items. Whether you're decorating a new home or are ready to give your current one a makeover, The Curtain Shop is your go-to store for all your home decorating needs. 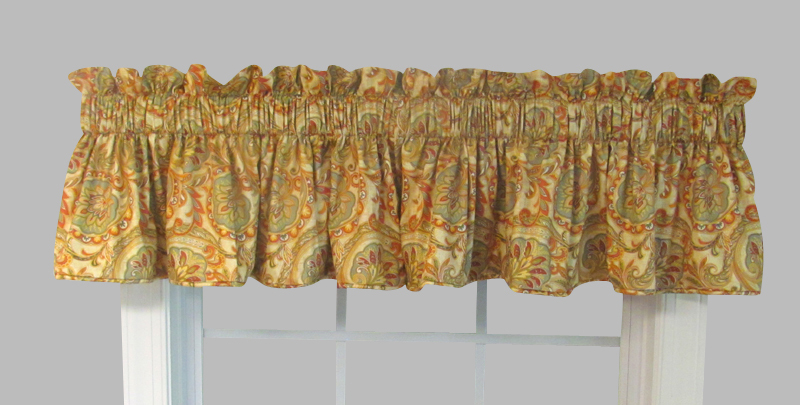 If you love the convenience of shopping online, but still want that mom-and-pop touch, then TheCurtainShop.com has exactly what you need to make your entire home look absolutely fabulous. Owned by Deborah and John Beam, The Curtain Shop first opened its doors in June 1953 in Durham, North Carolina. Since then, the store has relocated to Raleigh, but still offers the same family-owned, customer-oriented experience. 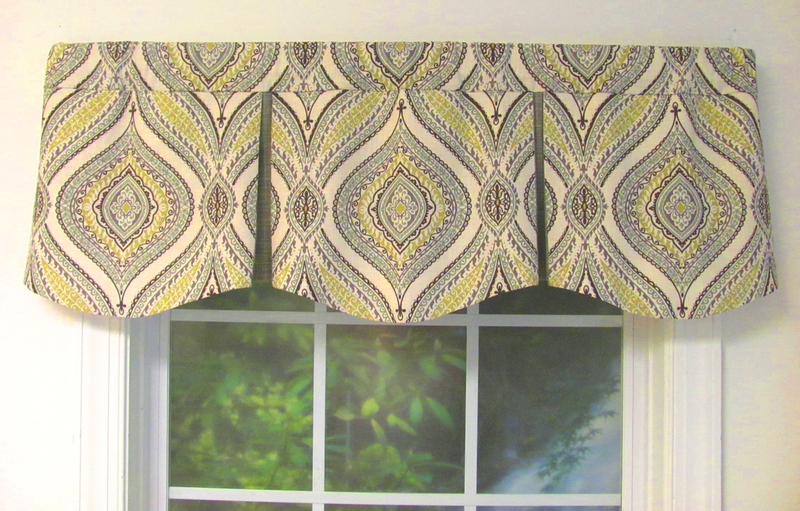 Shopping for curtains and window treatments online is so simple you'll wonder why you ever scrounged department stores for curtains and drapes in the first place. Even better are our discount curtains, where you will find a delightful selection of window treatments at amazing prices. 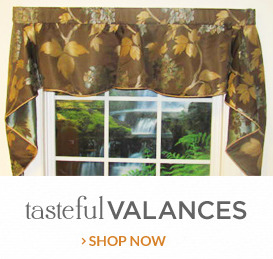 Our online store has been flourishing since 2001 by offering customers a dizzying array of valances, drapes and window curtains (our Almost Custom options are a big hit). However, it doesn't end there. Check out our collection of bedding. 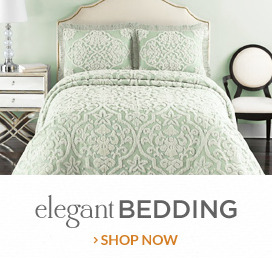 You'll find a wonderful selection of complete comforter sets, bedspreads quilts and more! There's even a selection of rocking chair cushion sets and throw pillows that will have your bedroom looking and feeling like the oasis it was meant to be. Need rods? Well, we have those too. The Curtain Shop sells your classic rods that mom and grandma used to use. No, they're not outdated. They still get the job done and we've got them. If you want a more decorative option, we have an exceptional offering of those too. Our abundant accessories collection includes tension and magnetic rods and beyond. Weï¿½ve got standbys and new additions. Pick the one that best suits your window's needs. If we don't have exactly the style that you want, try our Almost Custom options. 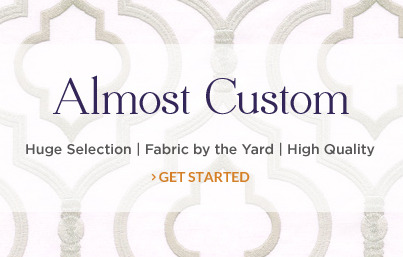 Almost Custom is our unique initiative that allows you to select from more than 500 different fabrics made by top-notch manufacturers like Waverly, Covington, Kaufman and Swavelle. Imagine examining fabric samples in the comfort and convenience of your own home before buying them! Too good to be true? Not at The Curtain Shop. With our Almost Custom feature you get all the remarkable designer fabrics and excellent workmanship of a custom order at a fraction of the cost. 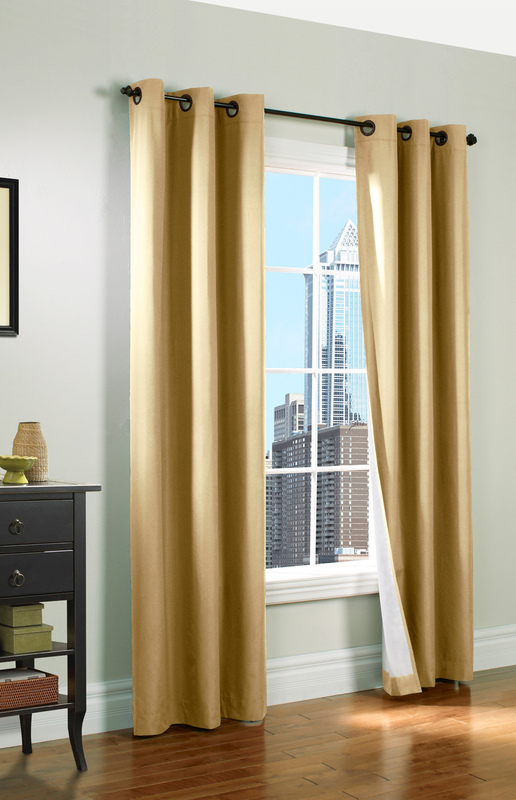 We offer a savings of 30 to 70 percent on American-made curtains. Now, how's that for fabulous? At The Curtain Shop, we pledge to bring you quality curtains, accessories and home goods at affordable prices. Questions about your order? No worries. Just call our toll free number at 866-886-3632 or email us at cshop@nc.rr.com. Our friendly, knowledgeable staff is here to help you get the dazzling look you want for your home. Call or email us if you want fabric samples. Sometimes you need to see it in person to get a better sense of the look. We understand. It is why we offer the free sample option.